Does it drive anyone else crazy when there are things scattered all over your counters or tables? I am always looking for things to make organizing life easier and when I came across the Holster Brands I couldn’t wait to get my hands on one of their creations! 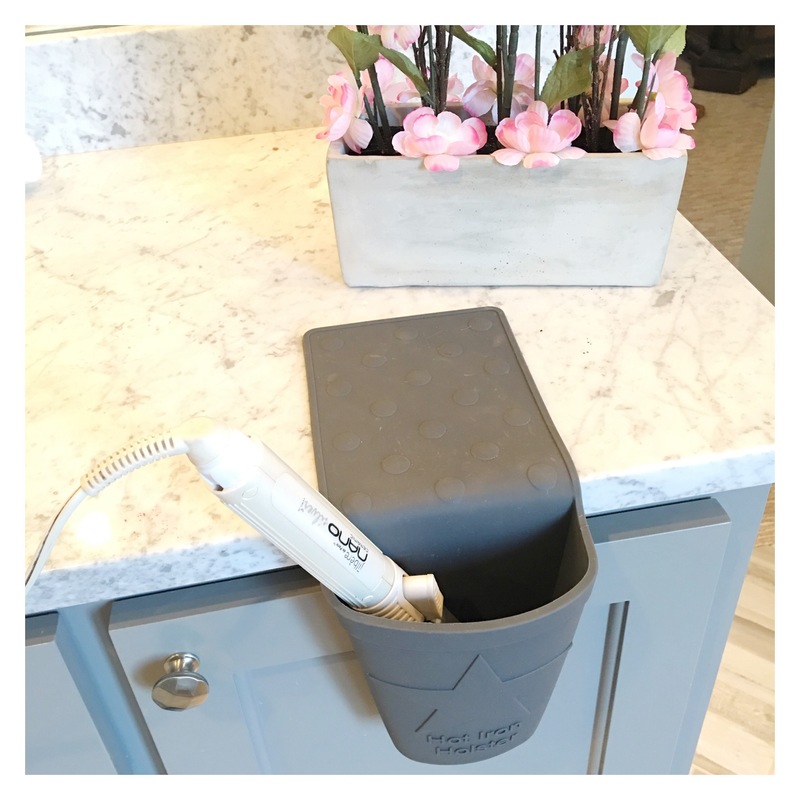 I received the Hot iron holster for review purposes and it has changed my getting ready game! It clings to any smooth, non-porous surface without the use of suction cups. It is made of top quality silicone! The hot iron product can withstand heat of up to 500 degrees and is perfect for storing your hot tools during the warm up, use or cool down stages! 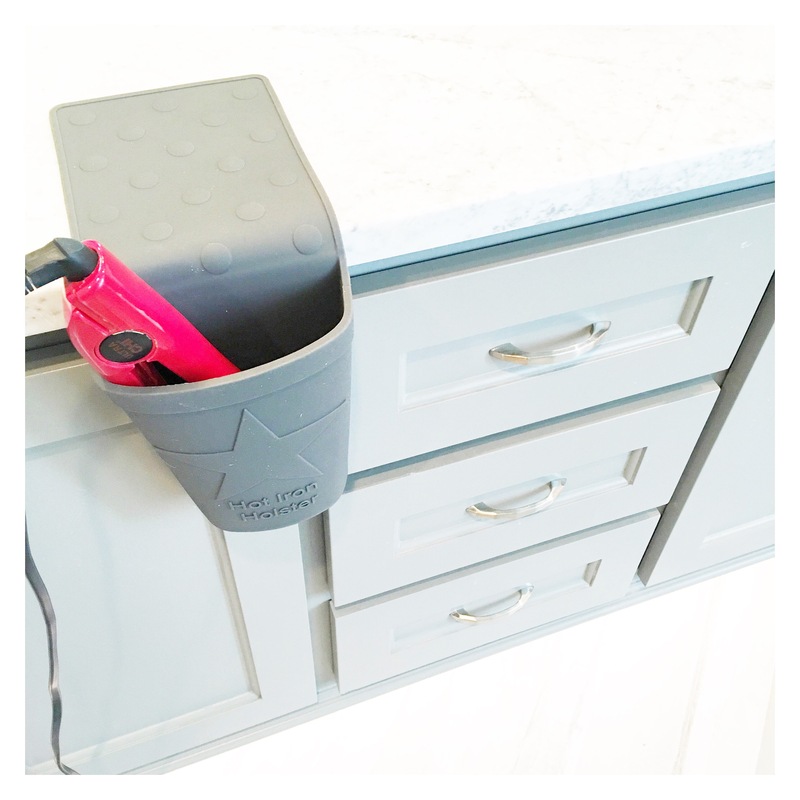 I love that my hot tools feel more secure and aren’t just laying on top of my counter tops! If you’re like me I’m sure you all have at least one burn mark on your counter from leaving something hot on there too long! Holster Brands products come in a variety of colors so you can find the perfect one that fits your style! I love that it’s completely portable so all you do is unstick it and throw it in your bag for vacay or a weekend out of town! Holster also makes a Hobby holster which features a two compartment design and fits things like glue guns, glue sticks, markers, craft supplies etc! It can withstand heat up to 400 degrees. The smallest one on the market is the Lil’ holster which holds things such a soaps & sponges while clinging to your sink! It is heat resistant up to 250 degrees. I can’t say enough great things about this company, their customer service and the quality of their product! You can find some FAQs on the Holster Brands website! And you can also purchase from your local TARGET in the bath section! 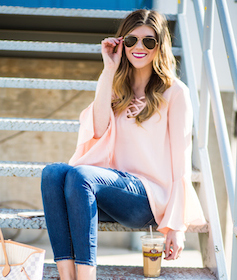 Thanks to HOLSTER BRANDS for sponsoring today’s post. All thoughts, opinions, and images are that of my own. All sponsored posts help keep Everyday with Bay Blog up and running! Grey or turquoise for me ???????????? Would definitely love to win! The blue, gray, or white would look great in my bathroom! Thank you for the Holster giveaway chance! All colors are beautiful but I like the red. It’s a ‘hot’ color so little hands know to not touch!